If you’ve been bitten by the bug to relocate to a warmer climate, Florida has probably caught your attention. We have researched and read to find the top neighborhoods for you to check out when considering your move. 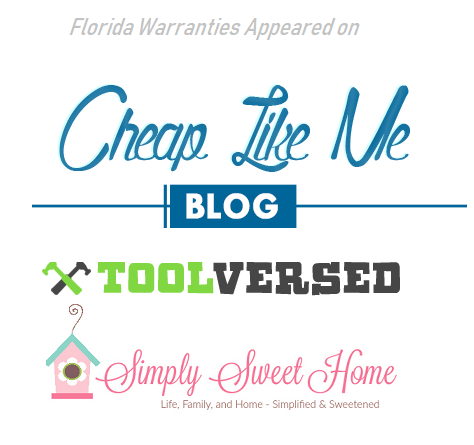 While what is the best neighborhood is strictly subjective to each family, we want to provide a variety of locations for you to consider (for investors have a look at our Florida real estate post). Residents consider all kinds of things when thinking which neighborhood is best: school rankings, affordability, taxes, culture, diversity, unemployment etc. 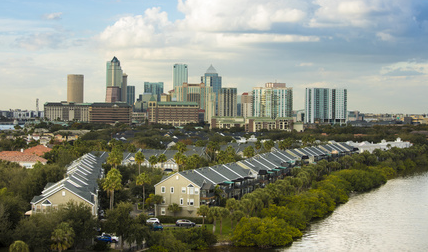 We have the found the top rated Florida cities and reviewed their suburban areas to see which ones offer the most to people looking to relocate. Coral Gables is just a few south of Miami (proper). Its population is just above 50 thousand and where the University of Miami is located. This community is great for students and for families with young children. They have dedicated green space, so as to not be driven into block by block endless buildings. 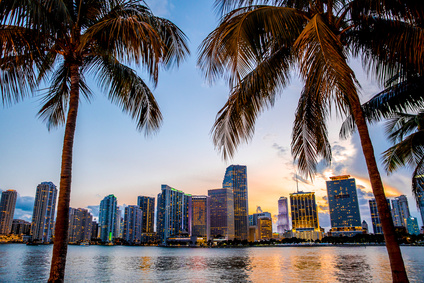 The schools are highly recommended, and they offer all types of homes and with a quick commute to Miami for work or pleasure, it has made our top list of neighborhoods and cities to live in Florida. 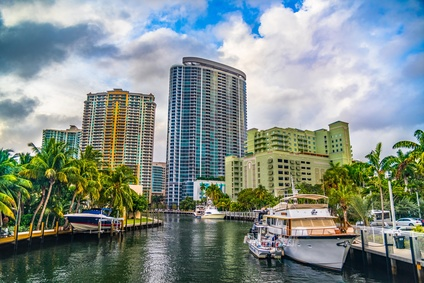 Pinecrest is just a little further south of Miami than Coral Gables and offers much of the same perks as Coral Gables, but also boasts about having a more stable housing market and higher income for its residents. The estimated population is only about 20 thousand and the commute to Miami proper is only about 30 minutes. Considering a commute in Kansas City can be over 45 minutes without the beautiful landscape, ocean and weather, the commute should hardly be a deterrent. McGregor or ‘Old McGregor’ is located a little inland, east of Caloosahatchee River between Fort Meyers and Cape Coral. The average income for residents in McGregor is about $10,000 more than the CDP average and with an estimated 8,000-8,500 residents in 2019 there are very few living below the poverty line. Living between Fort Meyers and Cape Coral provide McGregor residents the benefits of both cities and the calm waters of the gulf. Pensacola was a top rated city and Gulf Breeze was top rated for areas within Pensacola to live. According to Niche.com the median household income for people working in Gulf Breeze is over $100,000, and the vast majority, roughly 75% have attended college and or graduated college. This average income is nearly double the national average. The schools are top rated, and with all the other top rated features of this area, the average home sale is about $325,000. For this luxurious area for a home price to be that low compared to the income that can be earned it isn’t outrageous and this is why Gulf Breeze should deserve being checked out before you make your move to Florida. Tiger Point is just across the Pensacola Bay from Pensacola, FL with a population of roughly 3,000 residents. It offers the feel of seclusion with the Bay on one side and the Gulf on the other. It has a lower average home price than Gulf Breeze about $250,000, but you can still pay a pretty penny for location location location in Tiger Point upwards towards a million dollars. With the slightly lower home price, the average income also dips a little from the Gulf Breeze to only about $90,000 per household. Rose Isle is a top rated neighborhood to live in within the city of Orlando and Niche.com gives it an A+ rating and so do we! It is situation between Lake Estelle, Lake Sue and Lake Rowena and it has good schools, affordable housing, diversity and a nightlife. While ‘affordability’ can be varied by family, the median household costs $550,000, however median rent is only $600 which is nearly $350 a month lower than the national average for renting. The median household income is just above $165,000, which is why the average home price is higher, because well residents can afford it! Almost 85% of its residents have a college degree or master’s degree. Rowena Gardens is located just south of Rose Isle and Lake Rowena and there is Harry P Lea Gardens, a 50 acre botanical garden for residents to enjoy. Rowena Gardens also earns an A+ rating from Niche.com With only about 1,400 residents in Rowena Gardens it has a median home price of $450,000 and an average household income of $115,000. It also offers the same great features as Rose Isle of great schools, affordable housing for its residents of the like income bracket, diversity and nightlife. As mentioned any of these cities or neighborhoods would be great to live in, it is really just a matter of personal preference. Do you prefer the Atlantic side of Florida? The Gulf, inland on the peninsula or closer to mainland? All of these offer affordability for their residents and are considered top rated places to live.